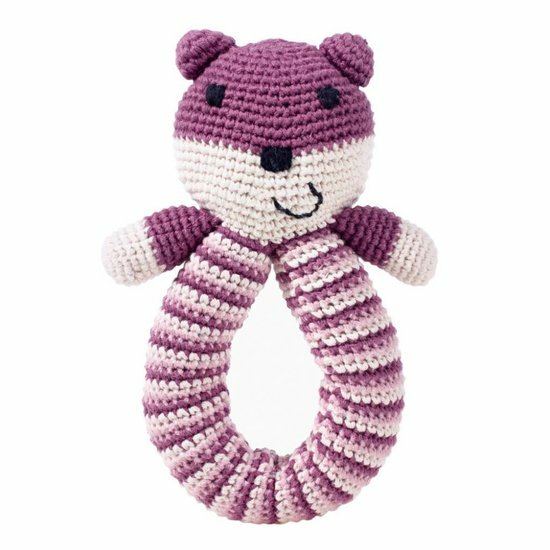 Purple bear rattle with a looped handle made from 100% organic cotton. 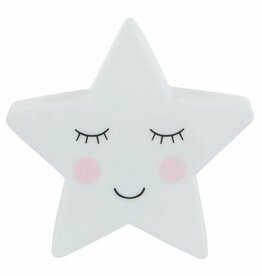 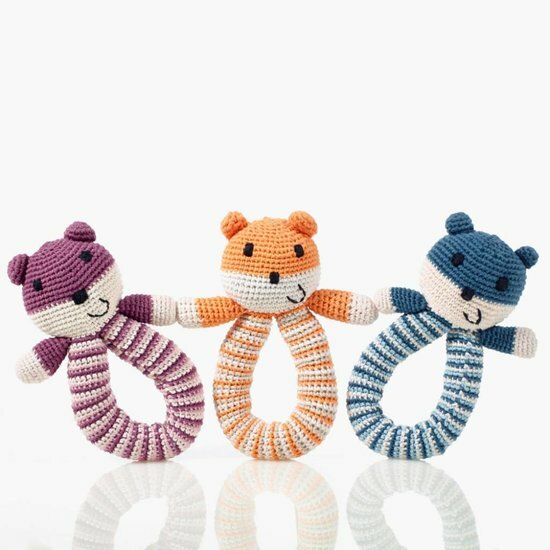 The lovely rattle makes for a great gift for a newborn and is the perfect cuddly companion for your little one. 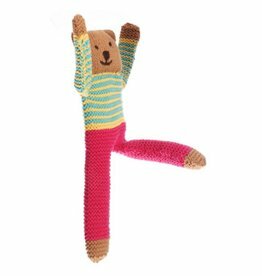 The Fairtrade rattle was handmade by women in Bangladesh who receive a fair salary and a safe and local place to work, which allows them to support their families and creates independence. 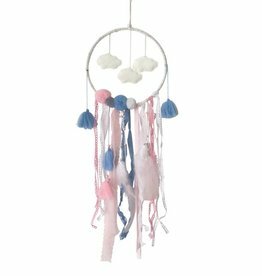 Each product is one of a kind and all products are pre-washed before packaging as well as CE, Oeko-Tex Standard 100 and Organic Exchange 100 Standard (OE100) accredited.